Every year, thousands of youth across the country raise pigs and show them off at local exhibitions and county and state fairs. These experiences allow young people to learn about animal care and management, and also allow the public the rare opportunity to observe pig care and behavior. In contrast to all the positive aspects of showing pigs, in recent years swine shows have been linked to influenza illnesses in people. 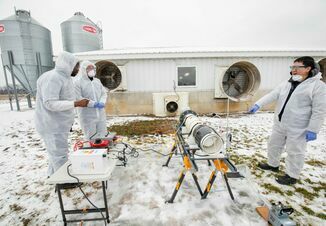 Swine influenza is a regular occurrence in commercial hog farms. When influenza is associated with human illness, a whole new set of issues arise, however – especially when it affects exhibitors or visitors to a pig show. In some ways, modern hog production and the show pig world operate in two different orbits. At the center of each of them, however, is the pig and the germs they can pass between each other and to people. What should commercial hog producers know about influenza at swine shows? 1. People get influenza from pigs every year. 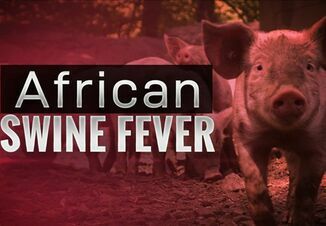 The Centers for Disease Control and Prevention (CDC) tracks cases of “swine variant” influenza in people. These are viruses commonly associated with flu in pigs but less commonly jump from pigs to cause influenza in people. Most people affected with swine variant influenza have an association with swine exhibits – the majority of them being the young exhibitors themselves. More troubling, though, is that a substantial number of these ill people reported only walking through the barn with no direct contact with pigs. 2. Pigs don’t need to be visibly sick to spread influenza. Show organizers and their veterinarians should have plans in place to isolate pigs that turn up sick at a show from the healthy pigs. However, this isn’t enough to ensure that the virus hasn’t already spread through a barn. 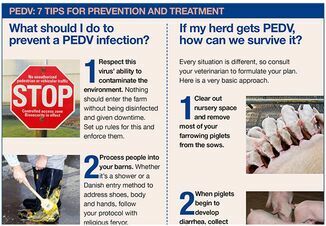 An off-feed pig with fever and lethargy might be just the “tip of the iceberg,” though – with many more pigs shedding the virus yet outwardly healthy. Once this shedding takes off, the amount of influenza virus in the barn’s airspace explodes – especially in poorly-ventilated facilities, creating even more of a hazard for people in the barn. 3. The risk of influenza spreading through a show can be reduced. Most important is limiting the length of the show to 72 hours or less. Research has shown that after 72 hours together at an exhibit, the number of pigs shedding influenza multiplies greatly. Show organizers should also reduce influenza spread by emphasizing cleaning and disinfection of equipment such as sorting panels, pen dividers, and gates in common areas such as weigh-in locations. Providing handwashing or hand sanitizing stations, and discouraging eating or drinking in the barn will reduce the possibility of influenza transmission to people. 4. Pigs returning from shows should be isolated at home. Even a healthy-appearing pig coming back home could have picked up the influenza virus and potentially infect its herdmates. Worse yet, a pig traveling from one show to the next could spread that germ to a whole new show full of pigs in a new geographic location. Seven days’ downtime at home is necessary for pigs to get over shedding influenza virus. Upon arriving back home, exhibitors should also clean and disinfect any equipment brought back from the show. 5. Commercial hog producers should care about this. Even if not directly involved with local swine shows, hog producers can provide valuable expertise to local 4H and FFA students and their leaders with their knowledge of biosecurity and animal care. Furthermore, the success of the hog industry depends upon its connection with the consumer public. Preserving these opportunities for the public to observe swine care, and to nurture young people’s interest in pig care can only happen when these exhibits are open to – and safe for – the public to visit. The National Association of State Public Health Veterinarians, along with the National Association of State Animal Health Officials, offers a valuable resource covering measures to minimize influenza transmission at swine exhibitions.